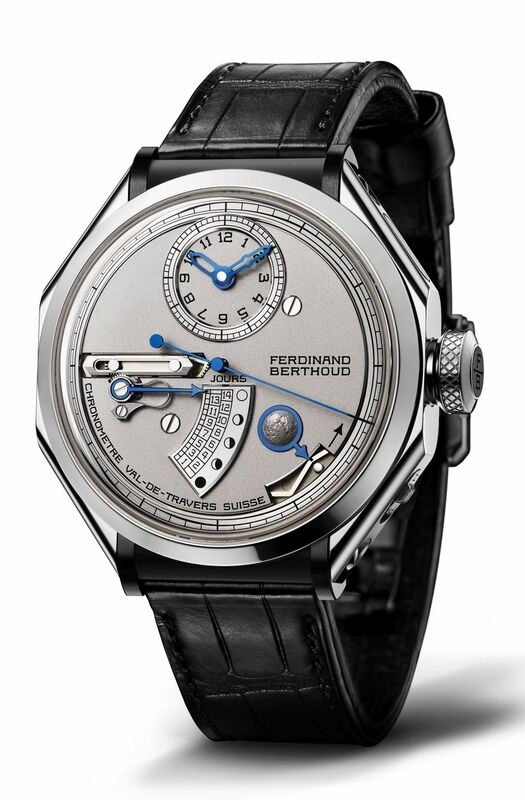 Available in two ten-piece limited editions with a case in 18kt white gold and black ceramic lugs, or in anthracite ceramised titanium and sandblasted 18kt white gold, this new collection displays the hours and minutes on a dedicated subdial at 12 o'clock, seconds in the centre and the 53-hour power reserve on the back of the movement. A large hand at 6 o'clock indicates the age and phases of the moon in a continuous back and forth movement. 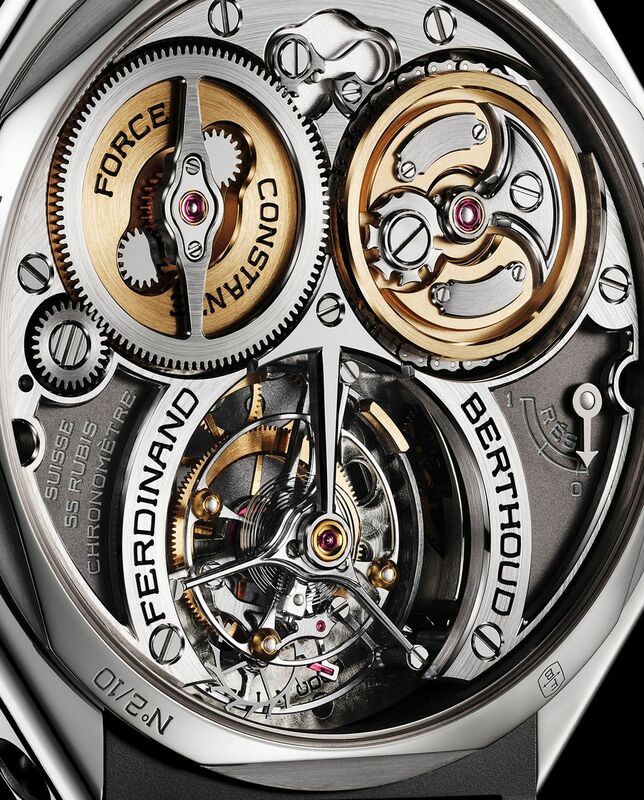 This patent-pending complication, combined with the constant force of the FB-T.FC.L calibre, ensures astronomical precision corresponding to a one-day difference in 577 years of operation. 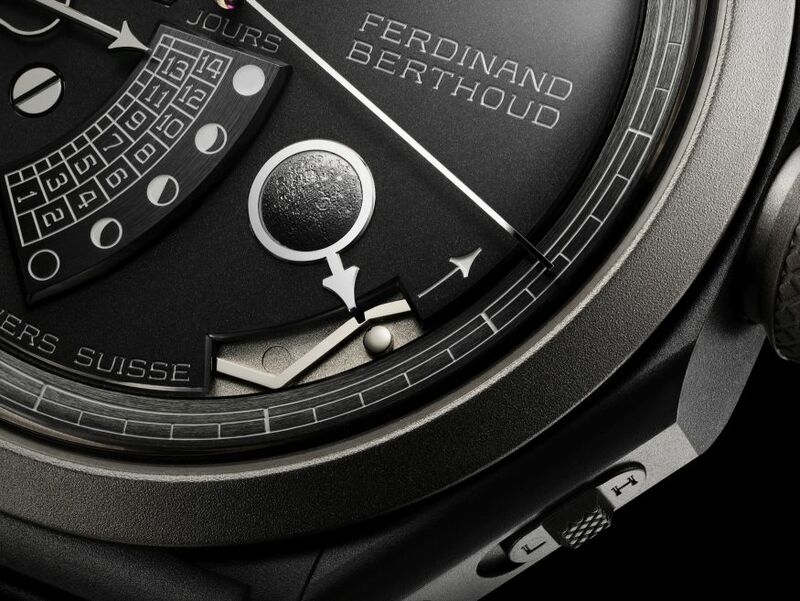 The FB 1L Chronometer is a model displaying the age and phases of the moon. 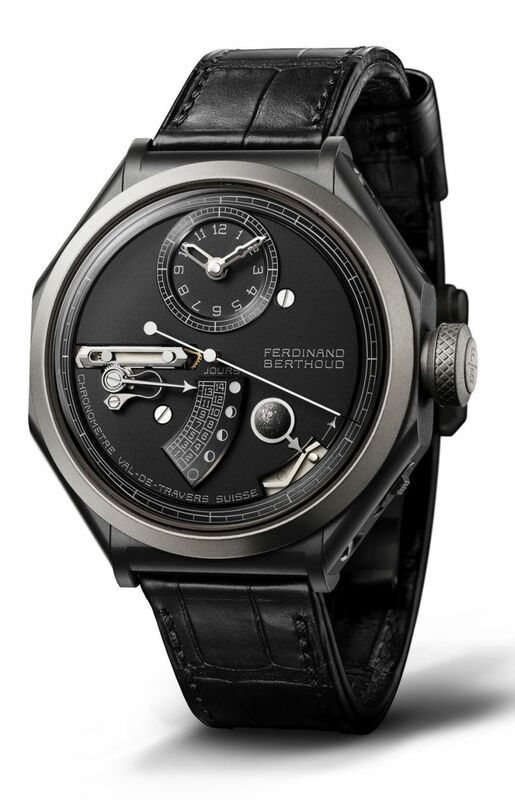 Combining chronometric precision and astronomical measurement, it associates these two previously dissociated values which jointly made it possible almost three centuries ago to achieve more accurate longitude calculations, a quest at the heart of a large number of Ferdinand Berthoud's works. The age and phases of the moon are two separate measurements. The moonphase is the most common in watchmaking. This is the complication that visually indicates the different lunar cycles. The moon phase is divided into four phases: new moon, first quarter, full moon and last quarter. A lunation or lunar cycle is the time interval between two new moons. A symbolic and aesthetic complication, the moon phase does not, however, offer the accuracy necessary for astronomical use. This display of the age of the moon is complemented by another function revealed through a dial opening between 4 and 5 o'clock, showing the current moon phase, waxing or waning, thereby indicating whether the moon-age indicator hand is rising (up to day 14) or returning (to the new moon). Since this hand progresses at a rate imperceptible to the naked eye, this precious moon-phase indication makes it possible at a single glance to see whether one is heading towards a full moon or a new moon. This age-of-the-moon display is provided by an arrow surrounding a half-sphere accurately depicting the two large faces of the Moon visible and hidden on both versions of the FB 1L collection. 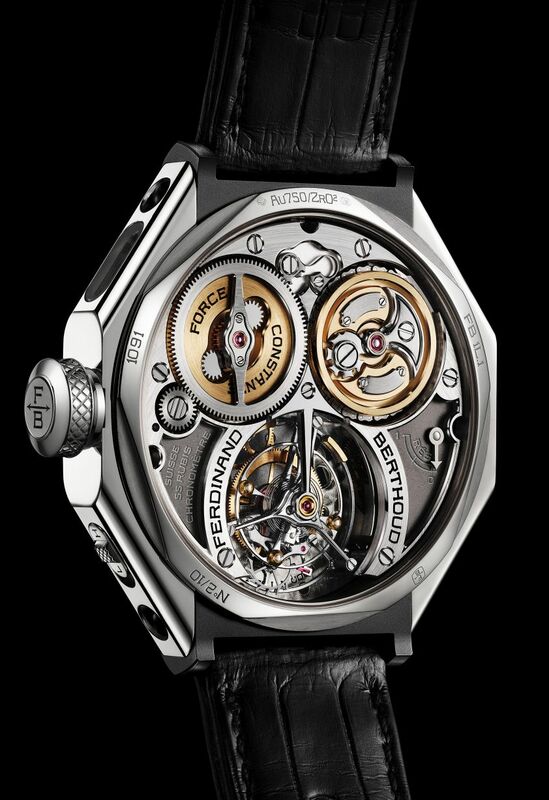 This invention earned him the title of master watchmaker a year later, by decree of the King's Council. This contemporary interpretation serves to provide a disc-free display of the age of the moon by means of a hand moving back and forth with an accuracy of 29 days, 12 hours, 44 minutes and 15 seconds corresponding to a mere one-day difference in 577 years of continuous operation. This exceptional result is made possible thanks to the large number of teeth on the moving disc revealed between 4 and 5 o'clock. 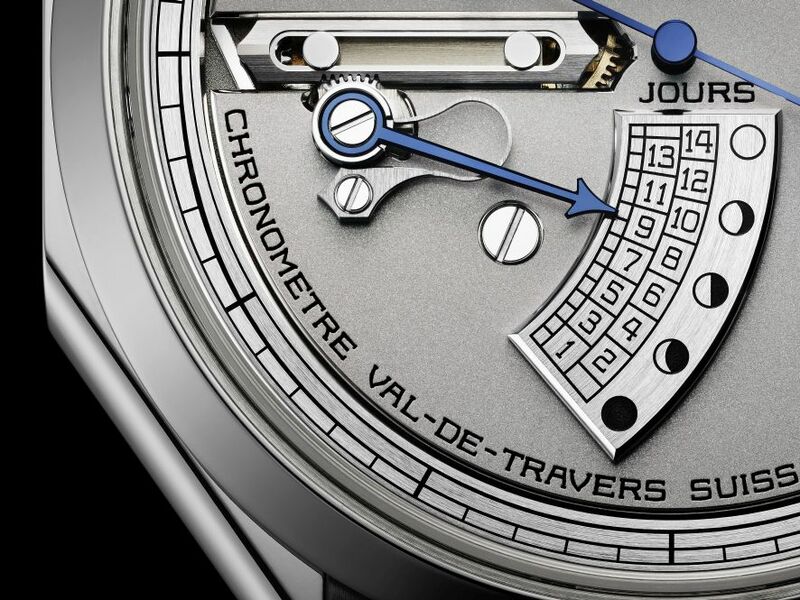 The Chronomètre FB 1L thus achieves a degree of accuracy in displaying the age of the moon that exceeds conventional moon phase displays, most of which remain accurate over a period of "only" 122 years. For the FB 1L collection, the case was completed for the first time with a selector switch placed between 4 and 5 o'clock which enables the wearer to choose between two positions, L and H, to set the age of the moon or the time.